I guess it's time to start the Halloween mani's haha. As I mentioned before, this time around it was Austin's turn to dig through my polish stash. I think next month I'm hiding all my textures from Austin so he has to choose something else. The man loves his textured polishes, haha. I actually love them myself, but definitely not for these challenges. If I'm being limited to three polishes I need to be able to have more variety. I'm sure you ladies in the challenge know what I'm talking about. I have to admit though, he did a much better job this month at picking out all the colors and stuff. 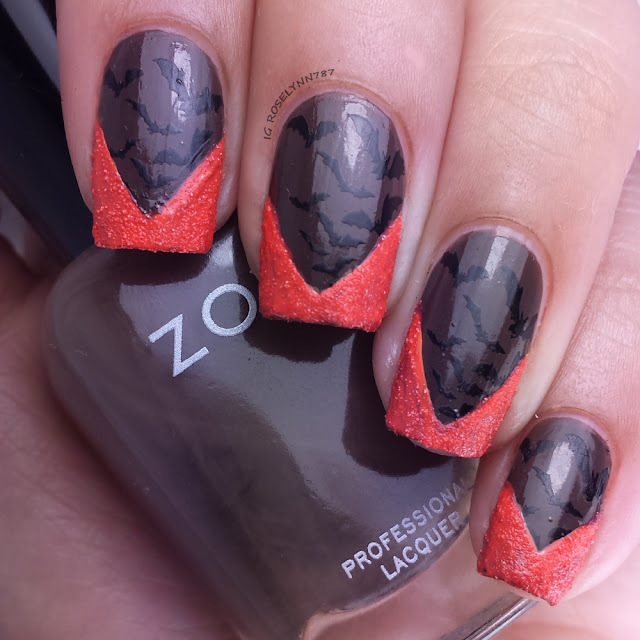 He even told me he wanted this month's mani to be Halloween themed. Originally he wanted bats and pumpkins, but I was able to get him to settle for one or the other. 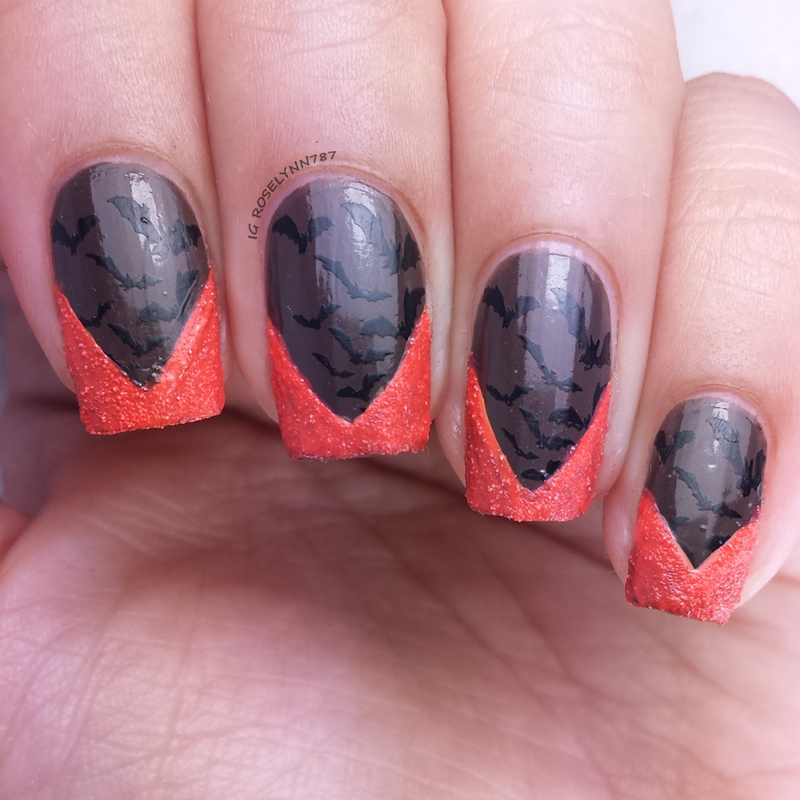 Polishes used: Sally Hansen Sugar Coat 'Candy Corn', Zoya 'Emilia', and Sally Hansen Xtreme Wear 'Black Out'. I also used a stamping plate for the bats from Winstonia 'W116'. I'm not sure yet who'll be picking next month, I keep teasing everyone and saying I'll have my dog Brownie pick'em. I'm sure he'll pick awesome ones for his momma haha. You did a fantastic job! I'm kicking myself for running out of time this month! Thank you. Nothing beats the first month he picked out x.x Believe it or not, this wasn't that bad haha. I'm just glad he participates so willingly, he takes so much time picking each color out lol.